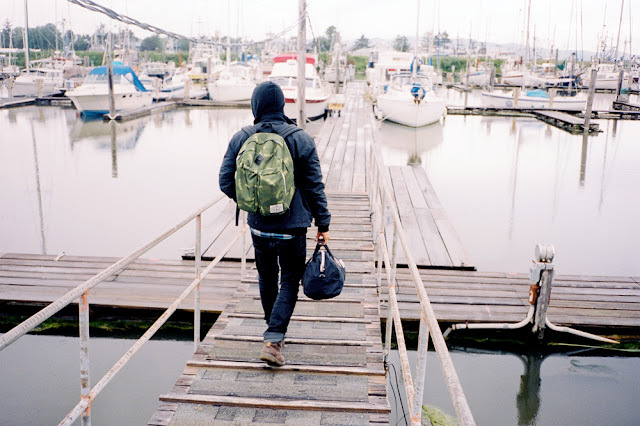 Our friends at Poler recently released some new stuff for summer. 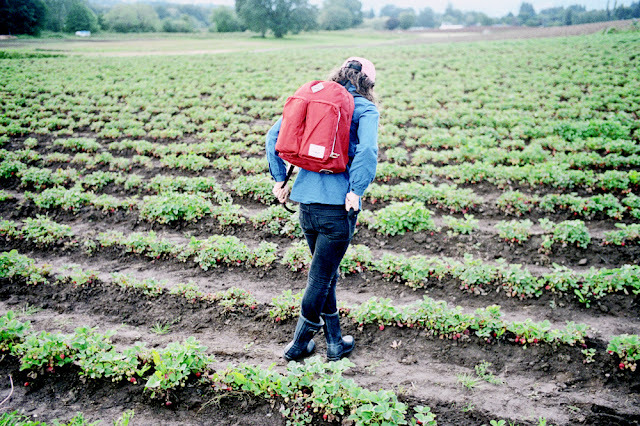 Included in their updated inventory is a camera bag turned cooler, a smaller version of their Duffaluffagus bag, a new daypack and a stainless steel water bottle made by Mizu. What's more, my friend Geoffrey Holstad, the man responsible for the new logo sitting atop this here blog, was hired by the Portlandia camping company to create a couple of cool new t-shirts! I like Owl. Anyhow, follow the link and take a look at some of their new stuff. A classic daypack perfect for school or the office. Padded laptop sleeve fits a 15 inch laptop. Smaller than our Rucksack, with two pouches on the outside for your waterbottle or other accessories. Leather tie downs to attach a light up top and a jacket to the bottom. The Mini Duffaluffagus is perfect for carrying around town, to the gym, or on a weekend excursion. It's a great carryon size and has a small side zip pocket for your phone, keys or others small items. 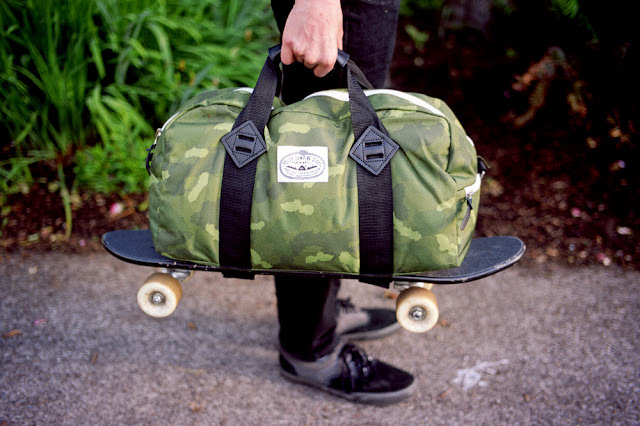 Skateboard straps on the bottom make it easy to carry your board with you when you're not cruising around on it. Real leather accents and our Lasso label on the side. It's a dual purpose purpose bag. Run it as a camera bag with it's padded dividers that can holld a DSLR and a lens and other small accessories. 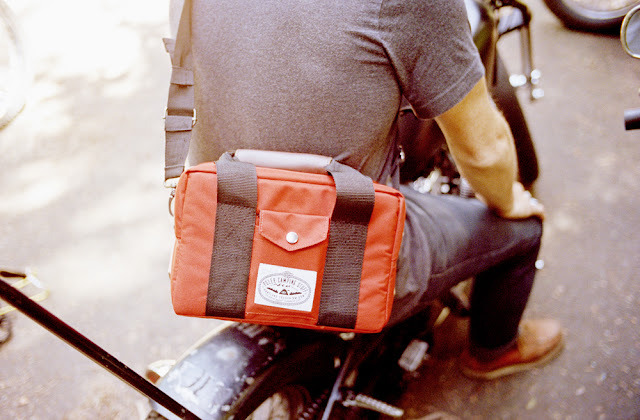 The side pockets fit a iphone and and ipad perfectly and the 3 way strap system ensures you can ride a bike or a skateboard without it flopping all over the place. When you feel like partying, take the padded insert out and it's a perfect soft sided cooler sized to hold a six pack or your lunch along with some blue icy packs you can get at any grocery store. Please note that this bag is not waterproof or watertight, don't use it with electronics and liquids or food at the same time. 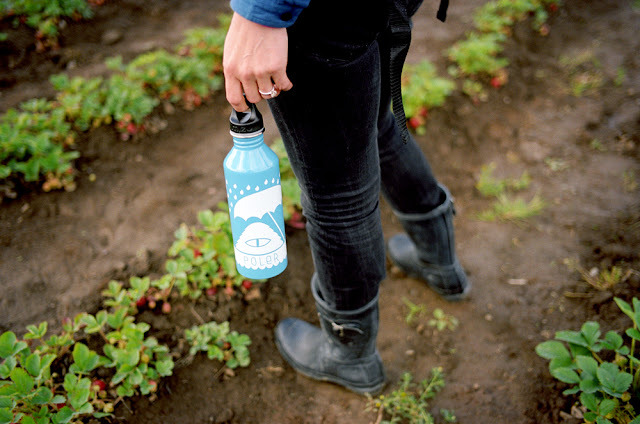 Poler has teamed up with Mizu to bring you this awesome waterbottle. 18/8 Food-grade stainless steel. 100% Toxin, BPA, phthalate and PVC free.100% Reusable and recyclable. Will not retain flavors. Click here to see Poler's complete line of clothing and camping stuff.